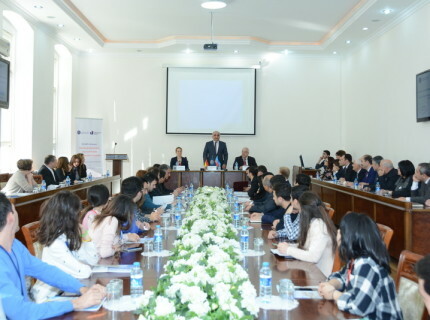 An “EE KEY-AZ Entrepreneurship Education: a Key to Job Creation and Employability in Azerbaijan” Project has been launched at Azerbaijan State University of Economics (UNEC) on November 29. The Project will be implemented by the partnership of the University of Siegen with UNEC and the financial support of the Headquarters of German Academic Exchange Service for 4 years. 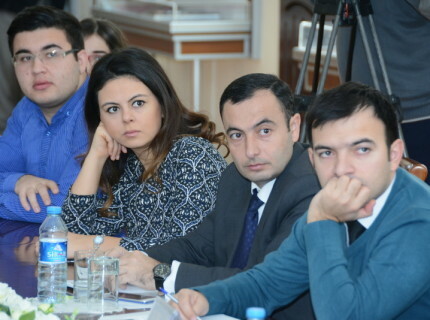 The Summer and Winter Schools in Germany and Azerbaijan, trainings in Finance, Business Planning, Entrepreneurship, Innovation Management, Logistics, E-commerce, Risks Management and so on and workshops with the participation of the academic and administrative staffs of both universities in Baku and Siegen are planned to be organized in accordance with the Project. At the same time, 4 nominee doctors’ participation in one- month internship every year, organization of competitions on “Business Plan” among the young research fellows and “Consultant Financial Clubs” are to be realized within the project. 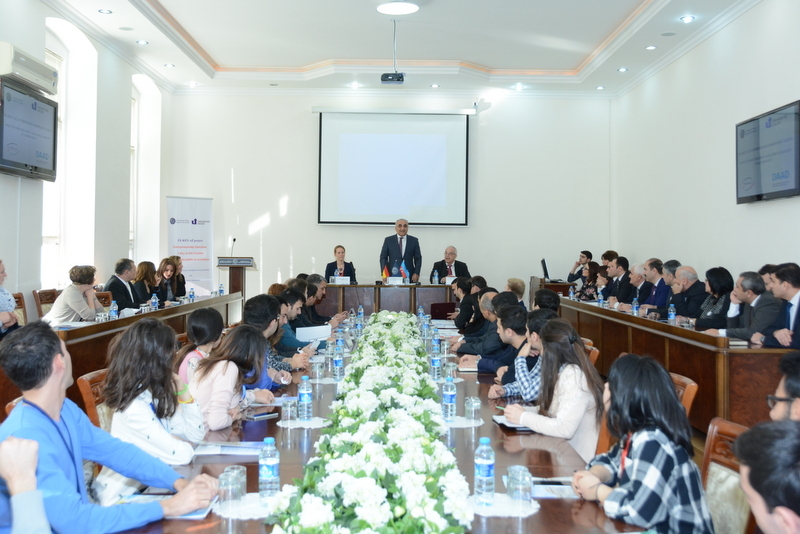 The club will create the opportunity for the formation of undergraduate, graduate and doctoral students, as well as provide them with a chance to pass internship in different companies of Germany and Azerbaijan. Together with the teachers and 11 students of the University of Siegen the representatives of the Ministry of Economics, Ministry of Labor and Protection of Citizens, Head of the Baku Information Center of German Academic Exchange Service, Chairman of German- Azerbaijan Trade Chamber, Program Leader of the German International Cooperation Society, President of the National Confederation of Entrepreneurs (Recruiters) Organizations, universities’ rectors, employees of the Embassy of Germany to Azerbaijan and the representative of the National Erasmus+ Office attended the opening ceremony of the Project organized at UNEC. UNEC Rector, Professor Adalat Muradov noted the sustainable development of the cooperation between the two universities and the implementation of teacher-students exchange during the event. Speaking about the organization of Summer and Winter Schools between UNEC and the University of Siegen, Rector emphasized that the 4-year project will be beginning of a new stage between the two universities. A.Muradov also stressed the project will play an important role in improving entrepreneurial and business education in Azerbaijan. He pointed the significance of the project in terms of better preparation of UNEC students for labor market, as well as the formation of the experience of establishing new jobs. 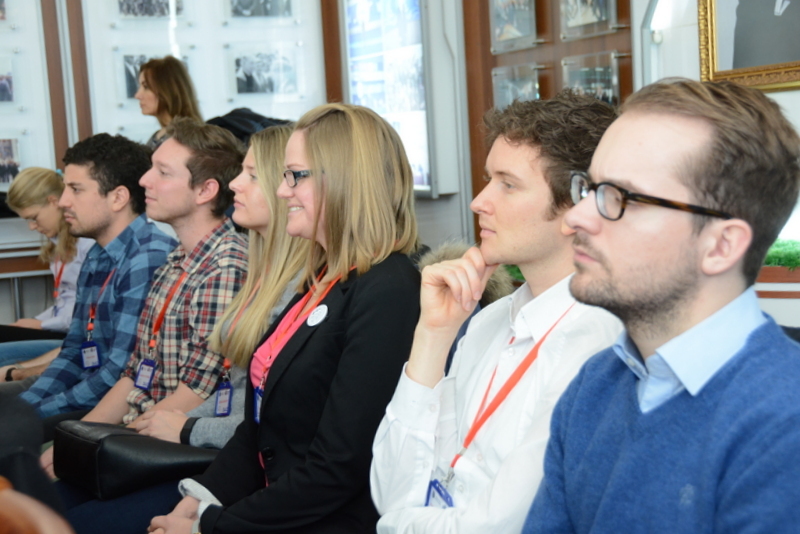 A.Muradov highlighted the joint Graduate Program to become one of the most important contributions of the Project too. 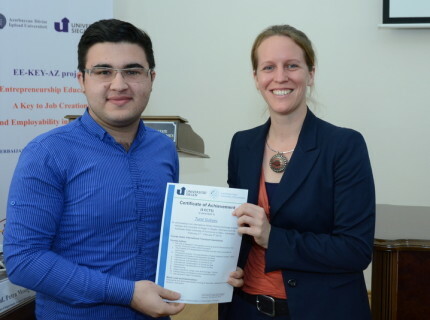 Head of the Baku Information Center of the German Academic Exchange Service (DAAD) Ms. Steffanie Dufaux pointed the type of project was implemented in Azerbaijan for the first time and that it is the biggest project in the region financed by DAAD. She stressed the project would both bring nearer the higher education systems of Germany and Azerbaijan and the two universities. Advisor to the Rector of the University of Siegen for International Strategic Cooperation Dr. Ulrich Eberhardt spoke about the history of cooperation between the two higher education institutions. He brought to attention the Project as a logical result of beneficial collaboration between the universities. Then Head of the Department of the University of Siegen, Professor Petra Moog delivered detailed information about the content of the project, aim, events to be implemented within 4 years, as well as the realization of the project and funding mechanism in detail. She expressed gratitude to UNEC administration and other partners for the development and execution of the project. According to the Project, the official opening ceremony of the project was held with the participation of UNEC’s delegation of 9 people at the University of Siegen on October 26. 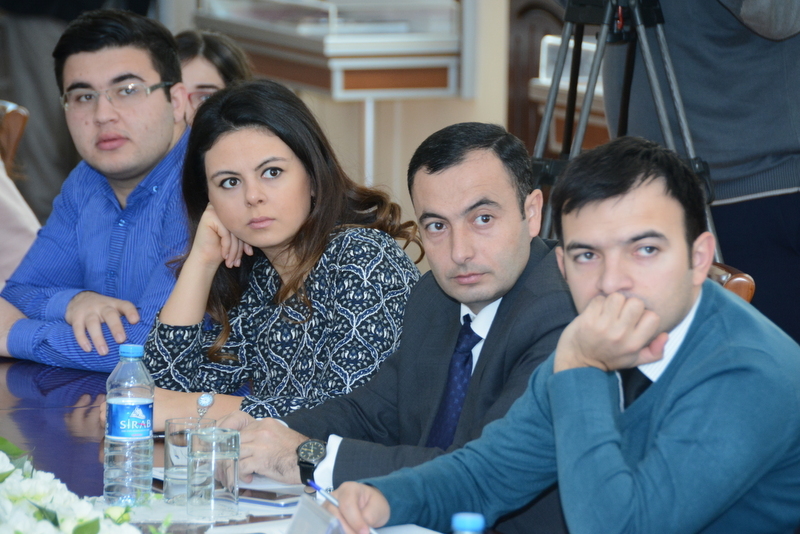 The issues of the management of Project, events to be implemented within 4 years, harmonization of curricula in the future and other technical and organizational affairs were discussed during the meeting of the Project’s Working Group. UNEC’s young teachers and nominee doctors met with the professors representing relevant departments of the University of Siegen and debated on the topics they want to conduct researches in the future in Germany. 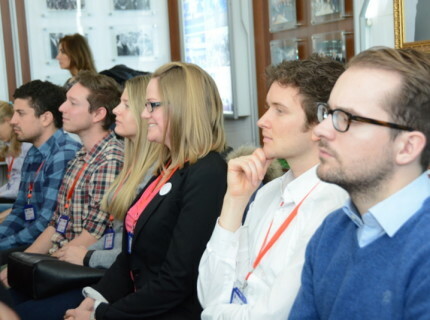 Students’ questions related with the project were responded within the event. 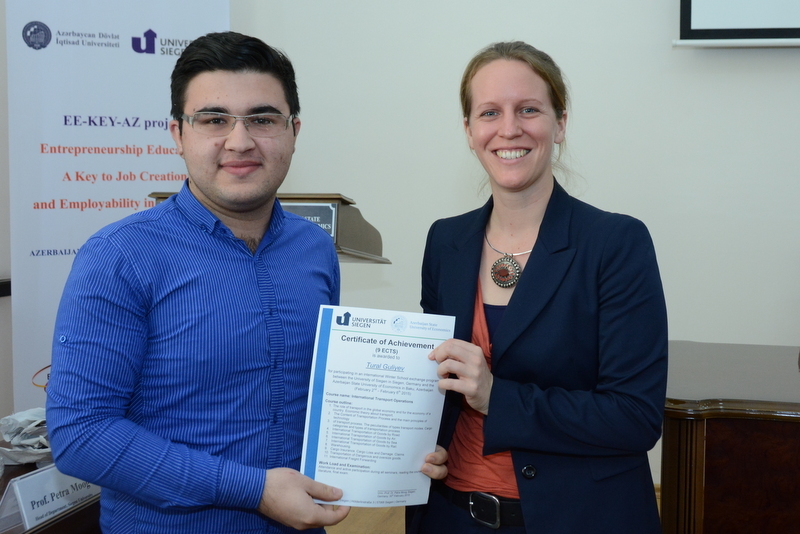 UNEC students who attended Winter School at the University of Siegen were awarded certificates in the end.